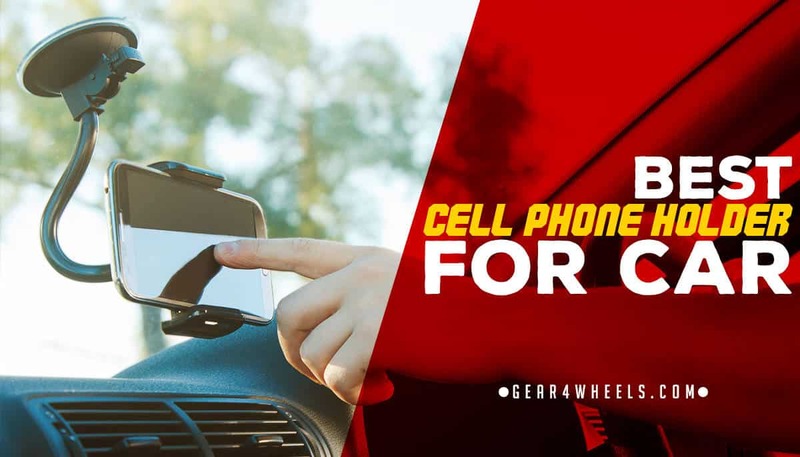 With many states now outlawing the use of mobile phones while driving, unless securely mounted in a phone holder, you’re advised to find an option that suits you and your vehicle. 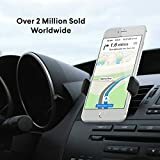 Legality aside, in-car phone holders are incredibly useful for accessing GPS, call features and messaging, without having to take your eyes off the road. Read ahead to see our pick of the top 5 holders currently on the market. The Logitech ZeroTouch is a premium product from a well-known, premium brand. However, the price tag is still very reasonable. Logitech have also partnered with Amazon to bring touchless voice control to the device, activated with a simple hand gesture. Alexa can perform a range of actions comparable to the home control products produced by Amazon and can stream music directly from paid-for music services like Spotify or Google Play Music. The choice of either an air vent or dashboard-mounted holder means that this produce is compatible with pretty much any vehicle. The touchless voice control ensures that you won’t be tempted to break the law and pick up your phone or get too distracted trying to use the touchscreen. It’s also straightforward to set up using an application, which is free to download. There’s only one choice of color, black, so if you’ve got wooden or gray-finished dashboards, your device may look a little out of place. 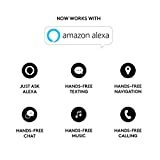 There’s also no option to use Google or Siri rather than Alexa, although this is unlikely an issue for most users. ​Allows touchless control over in-car music options like Spotify. 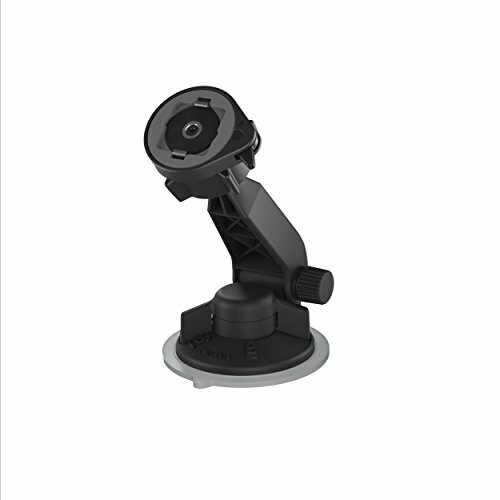 ​The Lifeproof LiveActiv in-car phone holder is a mount that uses a suction cup to attach to your windshield, enabling you to position it almost anywhere within reach. It comes with a higher end price tag, though doesn’t share quite the same level of functionality as the Logitech ZeroTouch, for example. Connecting your phone to this mount is simple, with just a quick click into the magnet attachment. It's also easily removable with a small twist. Your device can be used in either portrait or landscape modes, enabling you to rapidly swap from GPS maps to messaging or call features. Once the magnet is connected to your phone case, clipping your phone into the holder couldn’t be quicker. 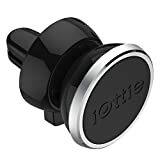 The suction cup also locks and unlocks from your windshield with ease, and having a suction cup as opposed to air vent connector means that you have greater flexibility of where you position your phone holder. 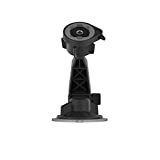 You’ll have to be selective about the location you affix the suction cup to on your windshield, as the arm mount is relatively short. Adjusting the position of this arm is also quite fiddly and requires both hands in most cases, so this will have to be done while stationary. Also, you will need to affix a magnet to your phone case indefinitely. ​At around double the price of the Mpow, listed as the last product on our list, the iOttie has a similarly-sized footprint. It is very small and unobtrusive, and is built from good-quality materials, while also being attractive to look at when nothing is attached to it. 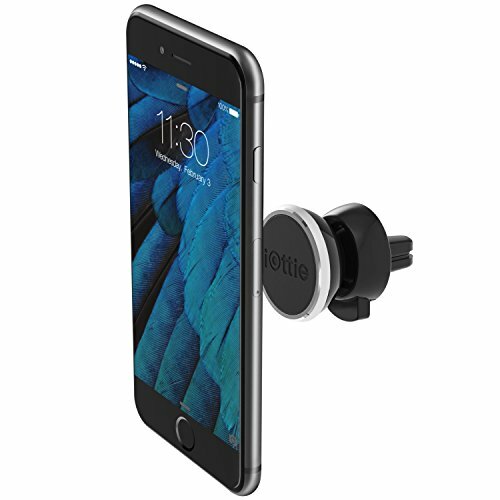 The iOttie iTap Magnetic Air Vent is a tiny phone holder that can hold most smartphones, given that it simply affixes them to its faceplate. A spring-loaded lock and release feature uses just a single click to attach and detach from your air vents. This phone holder is quite cheap and has a small footprint, so you can still use your vents as such. Also, the design of the magnet attachment means that cases can be left on while phones are affixed to the front. In fact, using a phone case means that you can trap the magnet between your phone and case so that it’s invisible when not in use. As this air vent is so small, it struggles to hold up larger handsets, such as the Apple Plus models and Samsung Note series. These devices tend to weigh down the holder, so that the vents are facing downwards. In this position, even with a strong magnet, strong bumps or knocks in the road can cause the phone to fall off. 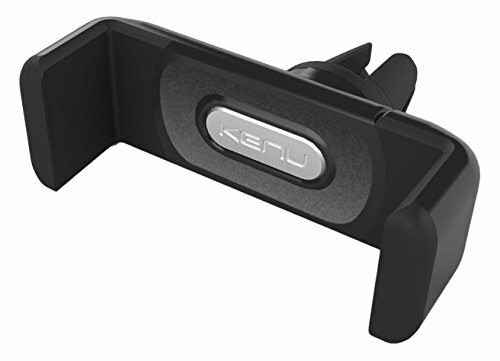 In terms of price, the Kenu Airframe+ in-car phone holder is a mid-range product, capable of holding a wide range of devices; for example, iPhones anywhere from the 6 to the X are compatible, and thick phone cases aren't an issue. The Kenu Airframe+ features patented design features in the form of a rotating clip, which allows attachment onto any vent at a horizontal, vertical, or angled orientation. There's also a built-in travel stand for holding cards from your wallet. Though the holder blocks airflow from the vent, the cooling air can help to reduce and regulate the temperature of the device. The attachment also provides a very secure fit to the vents, producing no rattling, and won’t fall off easily. You can even attach your phone inside of its case, as the holder is compatible with even thicker phone cases. Though convenient and easy to attach, vent-mounted phone holders have a few common, shared problems. Due to the size of this phone holder model, air flow from the vent is reduced. It’s also quite easy to scratch the vents if you’re not careful, depending on the type of finish they have. 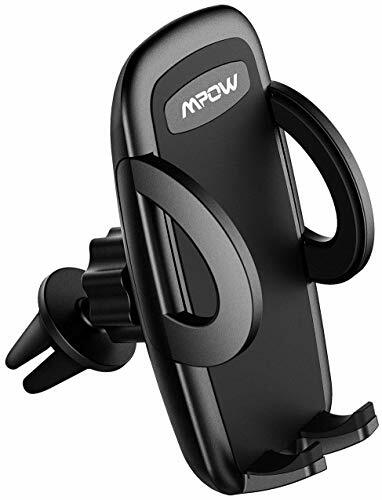 The Mpow Magnetic Phone Holder is a pack of 2 air vent-fitted phone mounts, with a magnet attachment. They are among the cheapest options for securing your phone inside of a car, though there’s some sacrifice on aesthetics and size as a result. For these reasons, we only award this product 2 out of 5, though it still makes our list as an inexpensive option. The Mpow Magnetic Phone Holder(s) feature a high-quality rubber base to secure the magnetic head of the mount under tough vibration. There's also an adhesive to secure the magnetic to your device, so that it won’t move around or come detached. For a price comparable to a high-street cup of coffee, you’re getting 2 units. This means you could hold 2 devices simultaneously (a personal and business phone), or a passenger device or GPS. They’re also easy to secure to vents when they are compatible. Since these are cheap models, the magnet quality isn’t as strong as competitor models; heavier phones may tilt downwards. They’re also less flexible than the Kenu Airframe+, for example, as they lack the patented design that has a more universal fit. The rough finish could also damage your vents, depending on their surface. 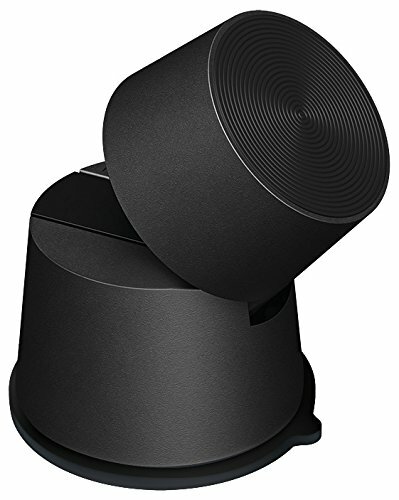 In terms of quality and value for money, our top pick from these 5 units is the Logitech ZeroTouch with Amazon Alexa.The touchless voice control is useful in a wide range of scenarios, while the different means of mounting the device enable you to use it in almost any vehicle.